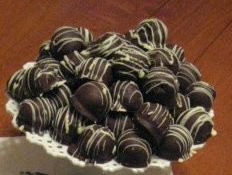 My mom might make these truffles for her book club’s holiday party, which is also to say that my mom soon might be the most popular person in her book club. 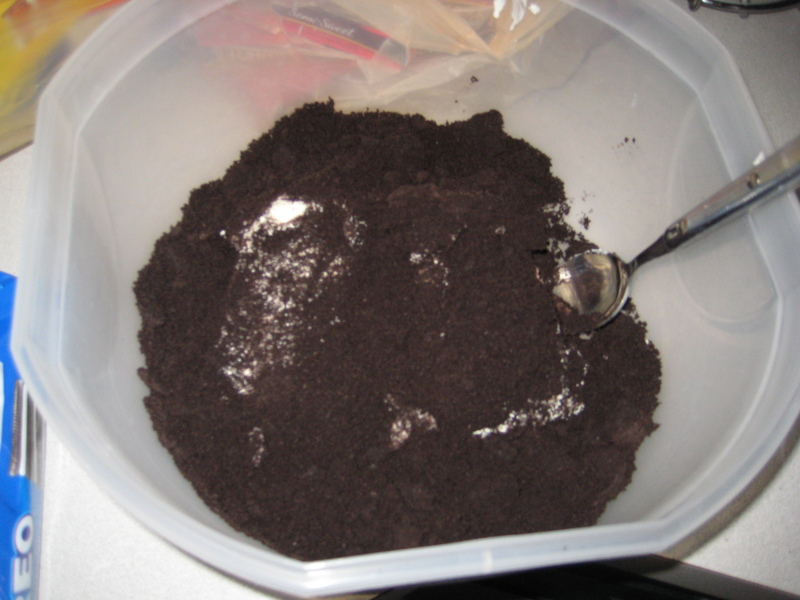 So to help her out (like she needs help), I’m posting this step by step guide to making the world’s best truffles. They are very easy and also ridiculously good. They are a hit every time I take them anywhere, and no one ever believes how simple the ingredients are. Let’s review. 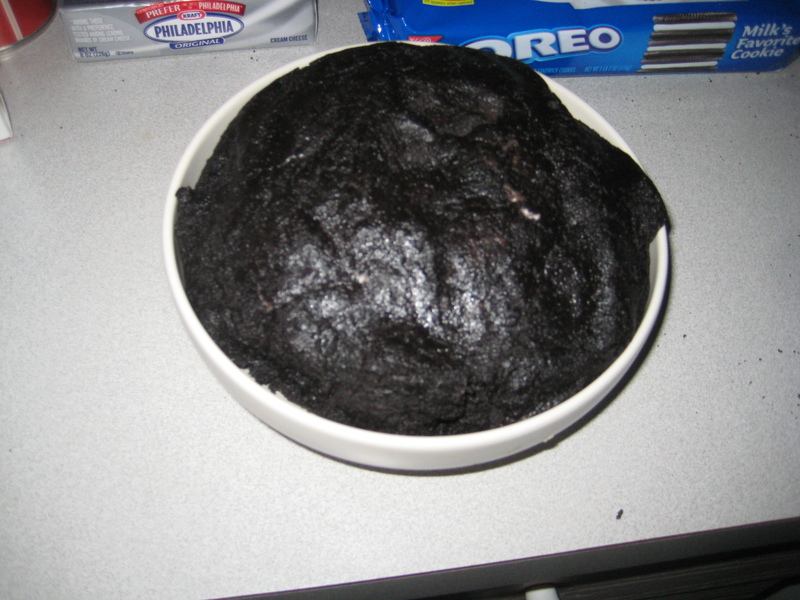 The ingredients are 1. oreos, 2. cream cheese, 3. vanilla, 4. chocolate. That’s it. You could leave out the vanilla, even, and they would be fine. I’ll post the recipe at the bottom, but here’s how the process should look. Now add the cookie powder to the cream cheese and vanilla. Blend the cream cheese, cookie powder, and vanilla until you have this shiny mass of deliciousness below. I use a hand mixer because it’s easier. Or because I’m lazy. It’s definitely one of those reasons, though. And then roll the mixture into balls! Now dip in chocolate and decorate however you like! I like to drizzle with white chocolate. Go forth, Mom, and conquer. In the food processor, grind the cookies to a fine powder. 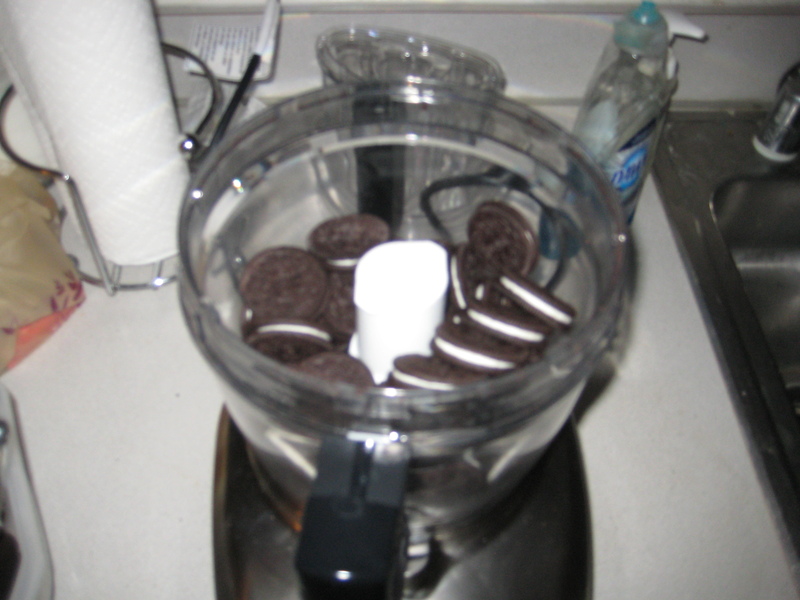 With a mixer, blend cookie powder, cream cheese, and extract until well combined. The color should be consistent throughout, with no obviously streaks of cream cheese. 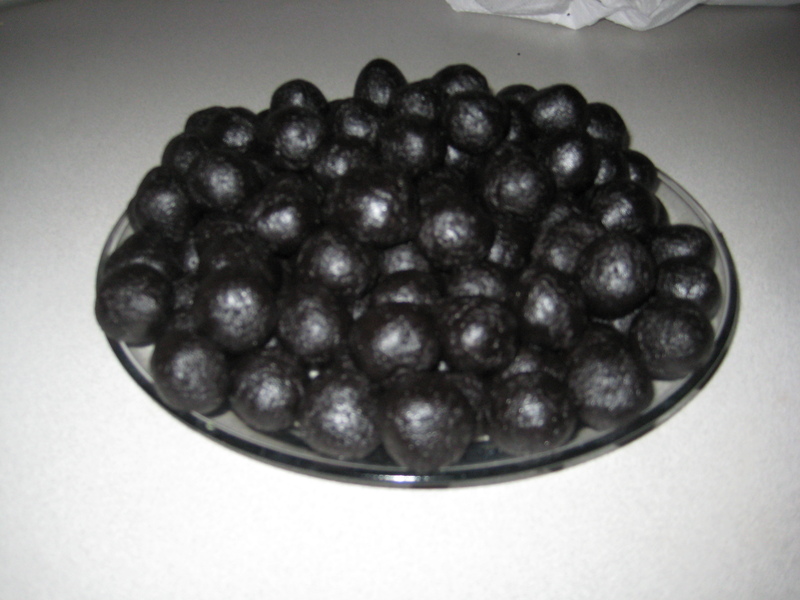 Dip the balls and coat them thoroughly, then allow them to drain through a slotted spoon before returning them to the wax paper. At this point, you can decorate them with white chocolate or leave them as is. Let them cool, either at room temperature or in the refrigerator. I made these this morning. I trliped the recipe, since I have 5 children. I use a belgian waffle maker by All-Clad, and got 1 1/2 waffles (6 squares). These turned out very dense, I guess because of all the eggs (I used 10 eggs instead of 12, even though I trliped the recipe). They smelled like French toast while baking. Flavor was ok; the cinnamon was a nice touch, stevia instead of honey added welcome sweetness. The texture was interesting. Pretty good straight out of the waffle iron, a bit rubbery after sitting for a few minutes. My younger children thought they were ok, ate them up with lots of butter and maple syrup, but asked me to try a different recipe next time. My teen’s comment was it tasted like a bad muffin I had once, but that could have been because I waited awhile before eating it, and then added too much syrup. Since I am the primary person who is grain-free (hence the coconut flour), I think I would rather skip waffles than try this recipe again. We have a large open bookshelf that srvees as our focal point in the livingroom (in lieu of fireplace) and the supports are small enough that I can tie the stockings to them with ribbons. The book shelf is also heavy and sturdy enough that it won’t tip over with Santa filled stockings!I love the white branch idea though if we ever change things around, I’ll copy that one!